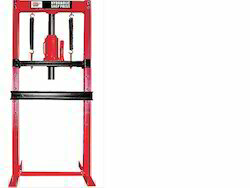 Owing to our adroit team members, we have been able to offer our clients with Hydraulic Workshop Press. The company has installed advanced HIND , & SPM press lines for performing various intricate metal forming operations as per customer requirements. 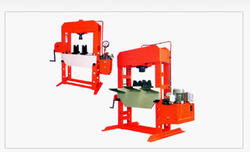 The press line is a battery of presses including Link Motion, Mechanical, Hydraulic and Power presses ranging from 5 ton to 300 ton. Standard galvanised, steel aluminium or copper / brass.